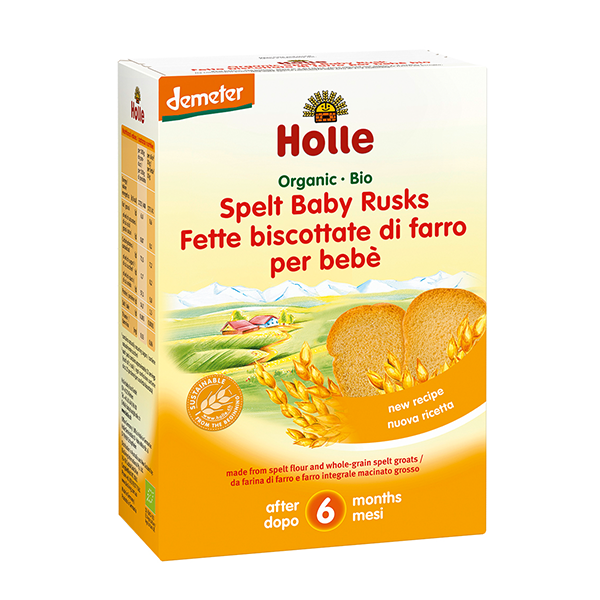 These deliciously light rusks are made just for your baby, using the best biodynamically grown wholemeal spelt flour! 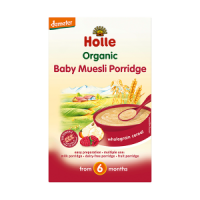 Made with organic sunflower oil and without added salt and sugar. Helps during teething. Give as a snack, or for making up a rusk cereal with milk or fruit juice. Older children and adults love these rusks for breakfast with butter, jam or fresh cheese. 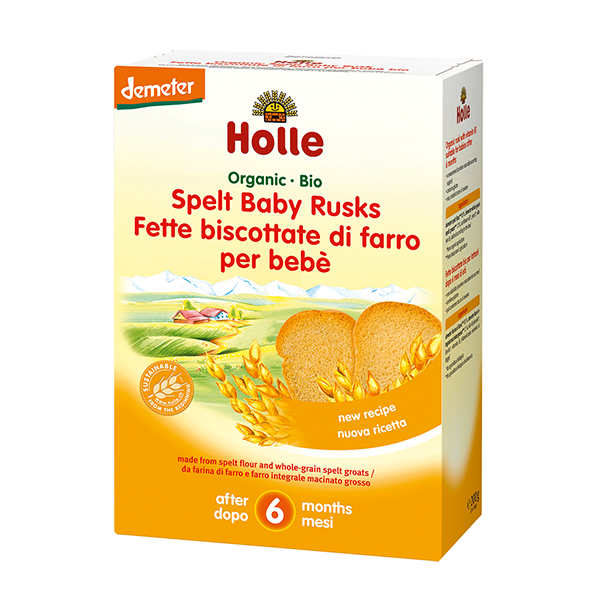 Top tip: Some mums buy these baby rusks to help them with morning sickness during their pregnancy. Unsweetened. Egg free, wheat free and contains no milk protein. Contains gluten. Easy to digest. No added salt. Produced in an environment free from soya and nuts but may contain traces of sesame seeds. SPELT flour**(83%), wholemeal SPELT (coarsely ground)**(11%), sunflower oil*, yeast*, vitamin B1 (added as required by law). I found that the rusk biscuit was too plain and hard comparied to the other company rusk biscuit. 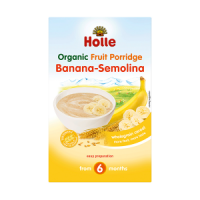 I totally appreciate that it is sugar and egg free however I think it's good to have with porridge and add butter or jam to it but not on its own. I LOVE these biscuits, they are perfect for clumsy little fingers and sore and itchy gums. The only rusks that do not have any added sugar and salt and made with spelt flour instead of wheat. Great product! My baby loved them as a snack especially on those days when they tend not to eat much for so many reasons. Also it helped him through teething phase as he gets to bite on them. These rusks are ever so good. They can be eaten on their own or put into meals to give texture. They are big and easy to hold. They taste great with yogurt my son really like them would definitely recommend. 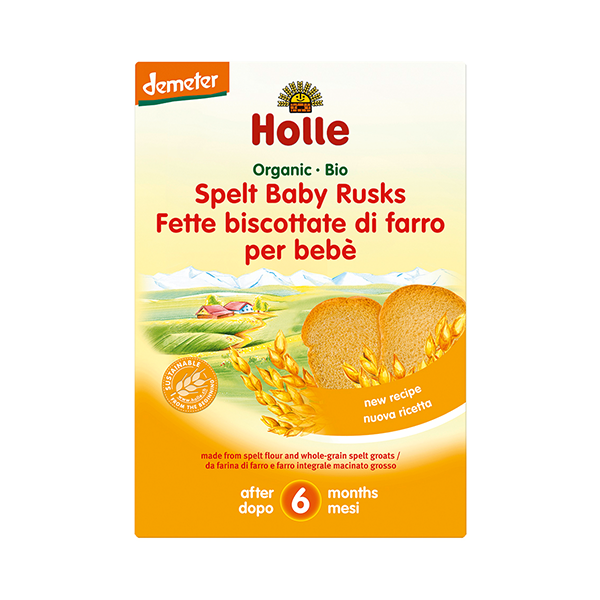 My 6 month old loves these rusks and I love that they're organic and no added sugar/ salt. 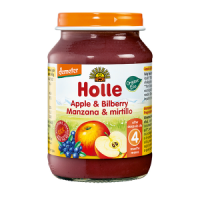 You cannot find something like that in the markets, every baby food,even organic, has added sugar and salt. It's just not necessary! Good as a snack but my daughter found it a bit hard to chew in the beginning. Now she has 8 teeth it’s not a problem anymore. 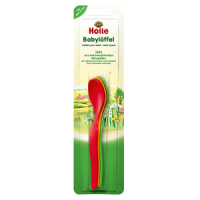 I give baby one of those to chew on when she gets agitated waiting for her food or when she sees us eat a snack and wants something as well. Being sugar free, they are of course plain, which is not a bad thing. I have yet to try them soaked in juice/milk/water which I will do once we introduce an afternoon meal or breakfast.